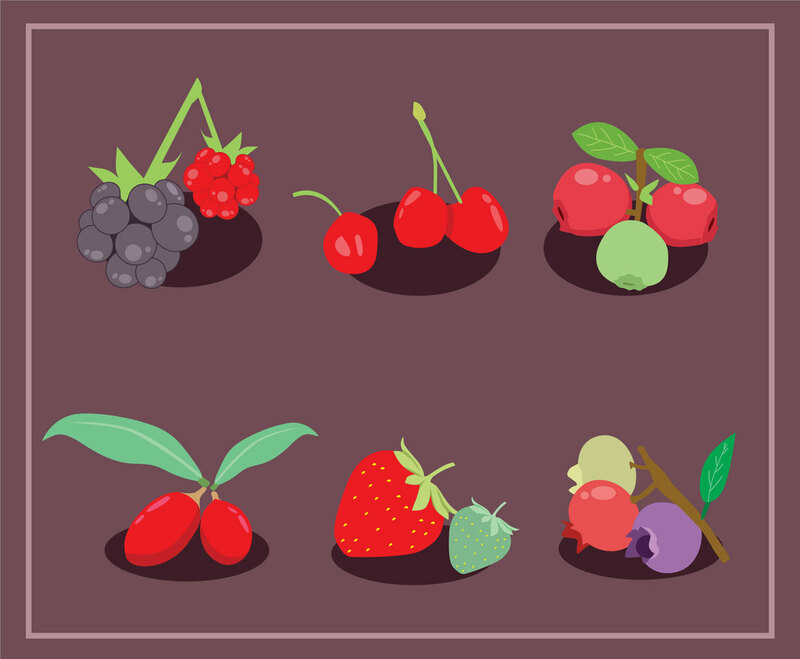 Here a set of berries fruit vector illustration. There are many berries fruit in the set, they are: blackberry, cherry, goji berries, blueberry, strawberry and cranberry. It's good to be part of any juice fruit product branding and packaging.